phony offers of counseling or help. cons where homeowners unknowingly sign away their home. lease-to-own schemes where a scammer claims to sell a house but pockets all the payments. 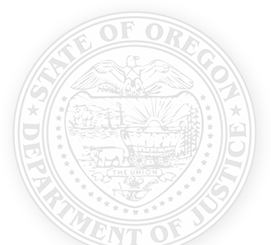 The Oregon DOJ investigates and prosecutes the Mortgage Rescue Fraud Prevention Act and other mortgage and foreclosure rescue fraud offenses. Violations may incur civil and criminal penalties, including prison. guarantees to stop the foreclosure process no matter what. instructs you not to contact your lender, lawyer or credit or housing counselor. encourages you to rent your own home so you can buy it back over time. offers to buy your house for cash at a fixed price that is not set by the housing market at the time of sale. offers to fill out paperwork for you. Your home is an extremely important asset, so it’s ok to ask anyone you are working with to put a description of all services and promises in writing. Make sure you fully understand the documents before you sign them, or you could inadvertently sign away your home to someone else. Keep all of your records. If a counselor demands you make a payment before receiving services, or will only accept payment via cash, automatic withdrawal, cashier’s check or wire transfer, be extremely suspicious. Make sure you know exactly what services you will receive before paying anything. Also, you don’t have to pay thousands – or even hundreds – of dollars for mortgage counseling as approved counselors provide their services at little or no charge. Scammers may contact you by mail, phone, online or in person and sometimes try to appear associated with your lender or the government. The State of Oregon and U.S. Department of Housing and Urban Development (HUD) have searchable lists of approved counseling agencies. Ask your counselor if their agency is HUD-approved or state approved and then double check. Visit the HUD website » or call 1-877-483-1515 to find out if your counselor is HUD-approved. Visit oregonhomeownersupport.gov » to find out if your counselor is state approved. Are You Being Offered a Short Sale? A “short sale” is a term used to describe a transaction where the sale price of the property will not generate enough proceeds to pay off the existing mortgage or mortgages and where the lender(s) agrees to accept less than full payoff. It is a type of loan modification. Learn more with this short sale FAQ guide ». Oregon law requires your lender to inform you about mortgage modification options and allow you to request good-faith negotiations which may help you avoid foreclosure. If you think you have been a victim or want to notify us about an individual, company or agency that may be engaging in mortgage or foreclosure rescue scams, complete a Consumer Complaint Form » or call 1-877-877-9392. This is a joint effort by counselors, mortgage companies and other entities designed to help homeowners in distress stay in their homes. HOPE NOW can help you locate free counseling and contact your mortgage company. Visit the HOPE NOW website » or call 888-995-HOPE for more information. The hotline is staffed by HUD-approved credit counselors who can guide you through your options. This initiative is part of a federal plan to help homeowners keep their home by refinancing mortgages and avoiding foreclosures. Visit the Making Home Affordable website » for details.